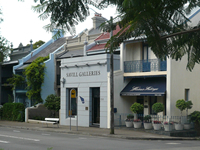 • Situated in the heart of the Woollahra Paddington art galleries precinct in Sydney. 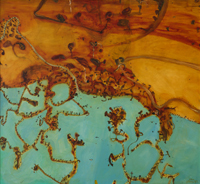 • Over the past 30 years, Savill Galleries has offered for sale works for sale, by some Australia's most established and recognised artists. - Cyclists in the Park as featured on the cover of this book on the artist. 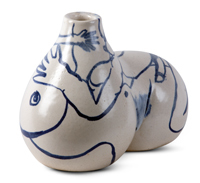 View past news stories about Savill Galleries and the Australian art market. 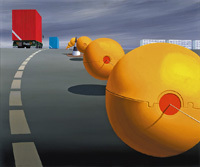 Are you looking for a painting by well known artist, please contact us to see what we have. 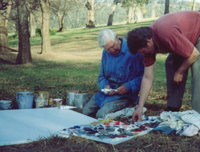 Barry Humphries opening an Arthur Boyd exhibition in 1993. 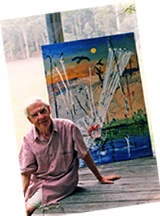 The artist, Arthur Boyd photographed in 1994 with the painting titled Windmill Bride at High Noon - sold. 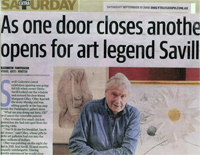 Read about Savill Galleries and view the timeline. 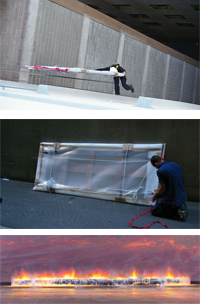 The above shows an oil by Tim Storrier being abseiled to a penthouse. Click here to view! 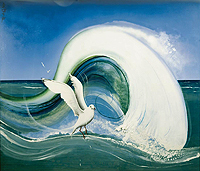 Exhibited: 'Brett Whiteley: Birds', The Artists Studio, Surry Hills, 5-19 July 1988, no.15; Savill Galleries, 'Four Australian Modern Masters', 11 November to 6 December 1988, cat no. 53. 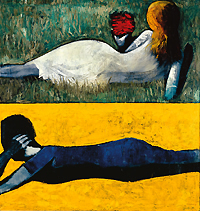 (illustrated); 'Modern Masters', 9 May - 5 June 2012, cat. no. 1.